Bayern took a place in the Champions League finals by winning a one sided 3-0 match (4-0 on aggregate)in their 2nd leg match against Lyon. 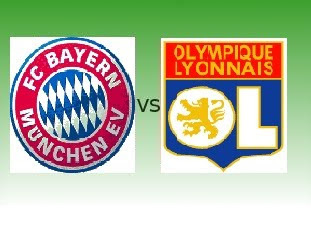 Bayern dominated Lyon through their forward Ivica Olic' who scored the hattrick. Bayern now waits to see the winner between Inter Milan and Barcelona to meet in the finals. Inter Milan and Barcelona is set for their 2nd leg game this April 28 at Camp Nou, Barcelona. As for Bayern, Congratulations! !